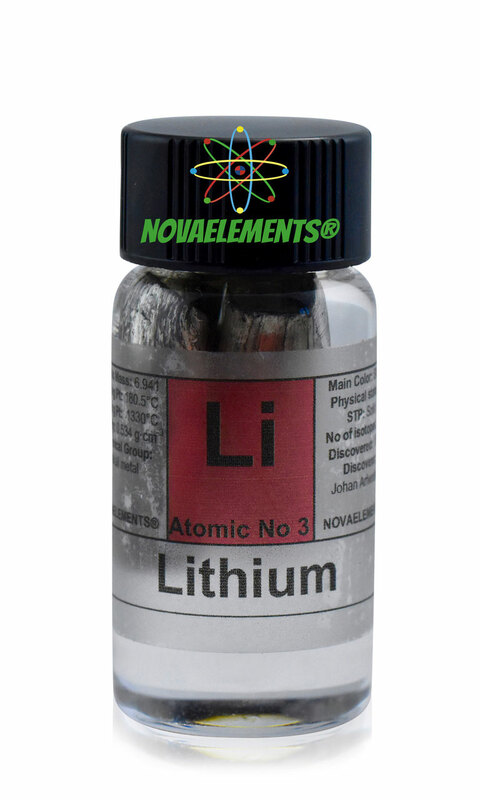 Lithium is the first element of the alkali metals group with chemical symbol Li and atomic number 3, (other elements of the groups are Sodium, Potassium, Rubidium, Cesium, and Francium, except Francium all of them are sold in our website). Lithium is a solid and silvery white metal at normal pressure and temperature, it is strong to cut and easily oxidizes in the air making a black film of oxide, instead reacts with water producing Hydrogen gas and sometimes burns with a little red flame. 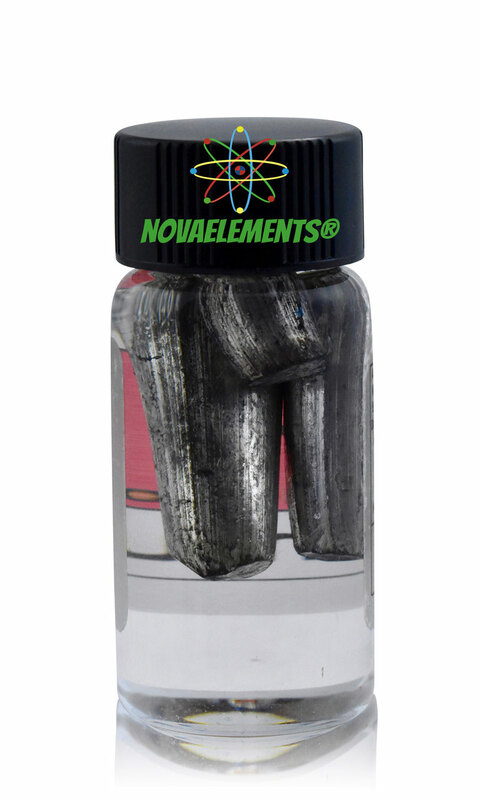 We suggest this element at the purity of 99,95% in a 7 mL glass vial with about 2 cm of diameter filled of high quality mineral oil, which prevent oxidization. We put 1 gram of pure and shiny Lithium metal with very little black film like you can see in our picture on the right. Normally available in 1 day. You can order below. 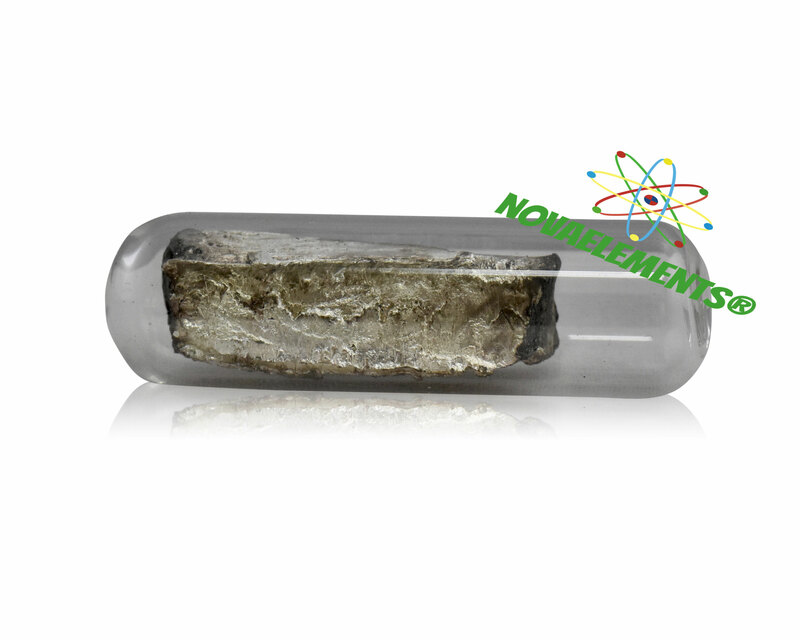 high purity Lithium metal element 3 sample of 0,5 gram, argon sealed ampoule placed inside glass vial. Pure Lithium element sample.